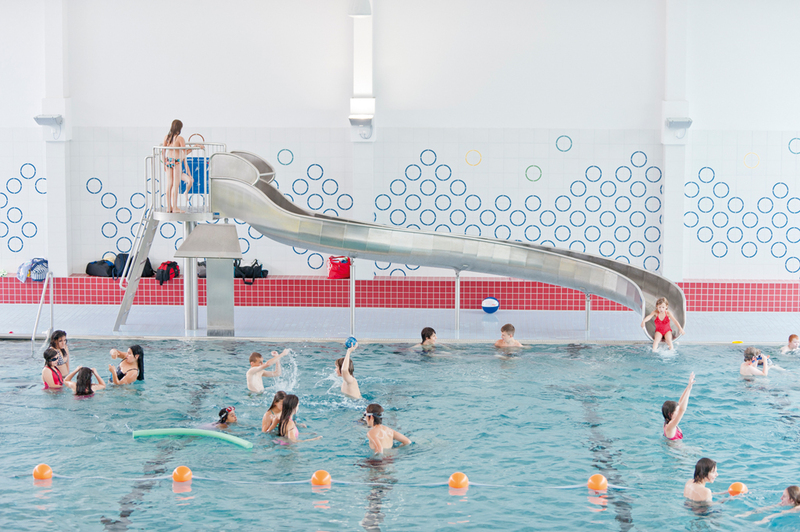 The Attraction of the Small Swimming Pool of Eggenstein-Leopoldshafen. 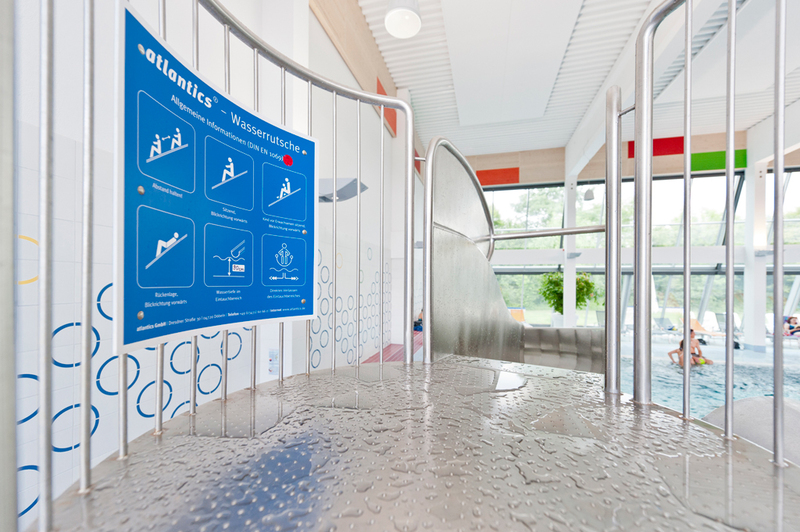 As this example clearly shows, even a very small swimming pool can be home to attractions. 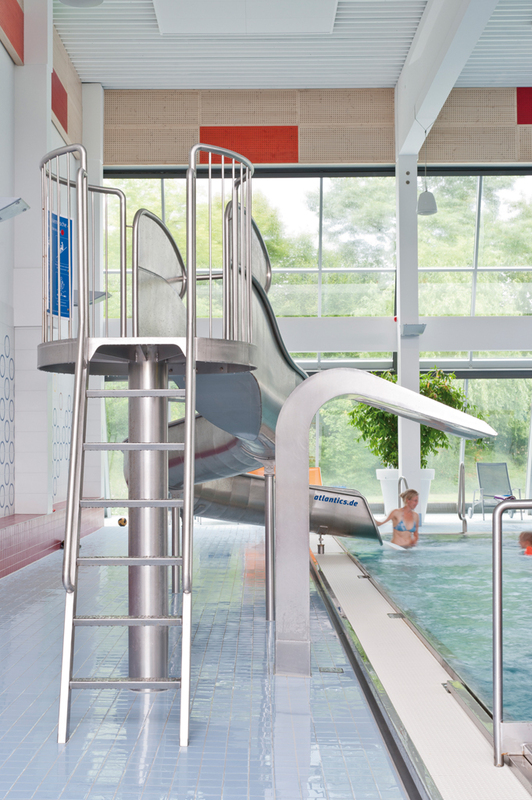 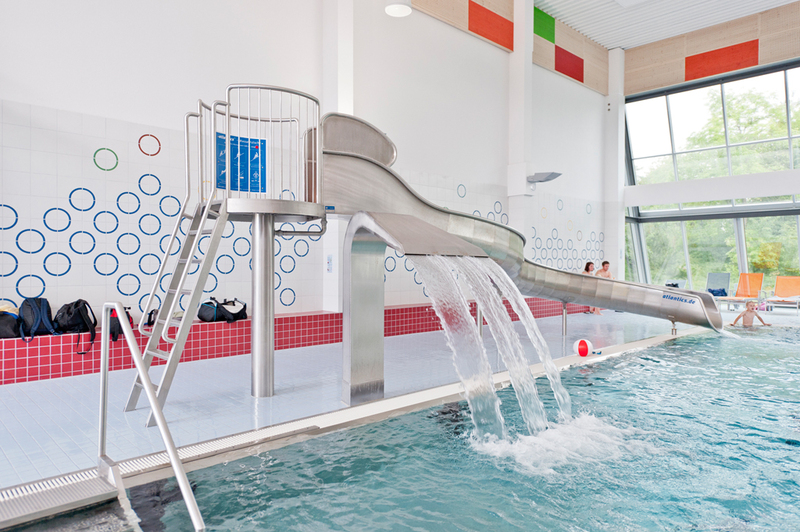 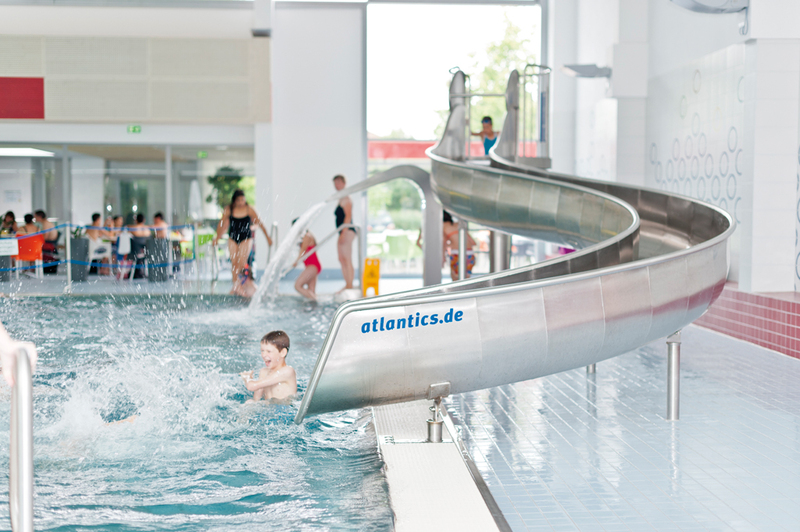 In spite of the rather limited space available the option of a tailor-made solution from our manufactory for the swimming pool of Eggenstein- Leopoldshafen / Baden Württemberg allowed the creation of a small but impressive slide attraction which offers all children every day great splash fun as a 9.00 metre long scoop slide.